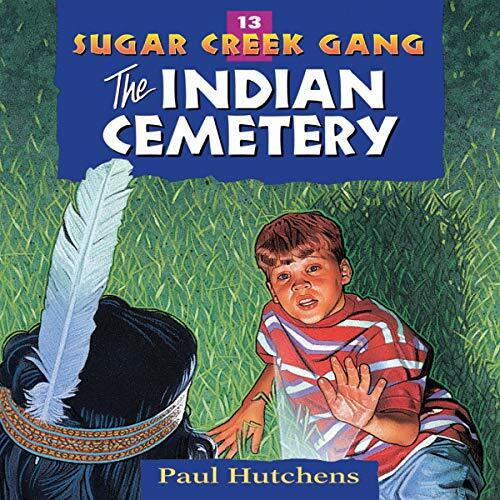 Camping in the North woods, fishing, boating, and hiking all suddenly become commonplace experiences to the members of the Sugar Creek Gang as they learn about the rites of Chippewa burial ceremonies from a real live Indian. But that is not all that happens as they visit the Indian cemetery. The mysterious white man wandering among the Indian grave houses, his hiding behind the medicine man's grave house and sudden departure in a motorboat, the sound of a hammer and saw as the boys pass the graveyard after dark, the open grave, all make Poetry and Bill Collins terrifically suspicious that the big kidnapper mystery is about to be solved. The followers of the Sugar Creek Gang in their North woods adventures will be thrilled by the way the boys tackle and capture their "fish" - hook, line, and sinker.